Were John Lennon still living, the former Beatle would have turned 70 this year. To celebrate, eight of Lennon's classic studio albums, as well as a handful of compilations, will be re-released this fall. Although this isn't the first time Lennon's catalogue has been redone, it is the first time the albums will be remastered from Lennon's "original mixes." The CD remasters will all be part of the "Gimme Some Truth" campaign, which will launch October 5 in North America and be overseen by Yoko Ono. The albums being reissued are John Lennon/Plastic Ono Band (1970), Imagine (1971), Some Time In New York City (1972), Mind Games (1973), Walls and Bridges (1974), Rock 'n' Roll (1975), Milk and Honey (1984), and Double Fantasy Stripped Down, recently produced by Yoko Ono and Jack Douglas, who co-produced the original Double Fantasy with Lennon in 1980. The new version will be accompanied by the remastered original album. According to the official release on John Lennon's official site, "The campaign's other new collections include: a hits compilation in two editions titled Power to the People: The Hits, a four-CD set of themed discs titled Gimme Some Truth, and a deluxe eleven-CD collectors box with the remastered albums, rarities and non-album singles, titled The John Lennon Signature Box." 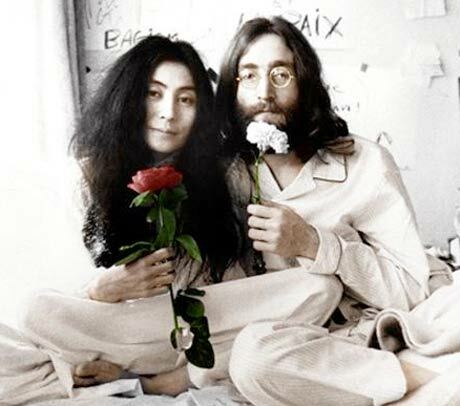 All of the albums will be "digitally remastered from Lennon's original mixes by Yoko Ono and a team of engineers led by Allan Rouse at EMI Music's Abbey Road Studios in London and by George Marino at Avatar Studios in New York. All of the remastered titles will be packaged in digisleeves with replicated original album art and booklets with photos and new liner notes by noted British music journalist Paul Du Noyer." In this very special year, which would have seen my husband and life partner John reach the age of 70, I hope that this remastering / reissue programme will help bring his incredible music to a whole new audience. By remastering 121 tracks spanning his solo career, I hope also that those who are already familiar with John's work will find renewed inspiration from his incredible gifts as a songwriter, musician and vocalist and from his power as a commentator on the human condition. His lyrics are as relevant today as they were when they were first written and I can think of no more apposite title for this campaign than those simple yet direct words "Gimme Some Truth." Additionally, the site reports, "In celebration of his 70th birthday on 9 October, 2010, John Lennon's life and music will be specially feted with a variety of commemorative releases and events around the world," and asks that we "please check back for official announcements and updates." Full details for all of the releases can be seen here.